The 2013 defense is going to be a nice step in the right direction statistically from 2012. Whereas there were good playmakers in many positions in recent years, that's still the case for Team 134, but now there's good playmakers on the depth chart as well. This is beneficial for two reasons. One, depth is always good, especially on defense (obviously). But, two, is also raises the level on competition for the starting spots. While starters on defense don't really matter all that much because there's more rotation among the two-deep, it's nice to call a guy a starter, even if he's subbed out on the second play of the game in favor of a guy who specializes in a different package. All efforts by this coaching staff so far have been to create a bigger, meaner, better defense. The D line is where this all needs to happen. With question marks in the secondary, mainly just the safeties, pressure needs to be applied by the front 4. Defensive end/OLBs get a lot of credit for QB pressure, but don't overlook what happens on the interior. Pressure must be applied by this unit. I have no worries about the run-stopping ability in the middle. It would seem this defense is being built to stop the run. 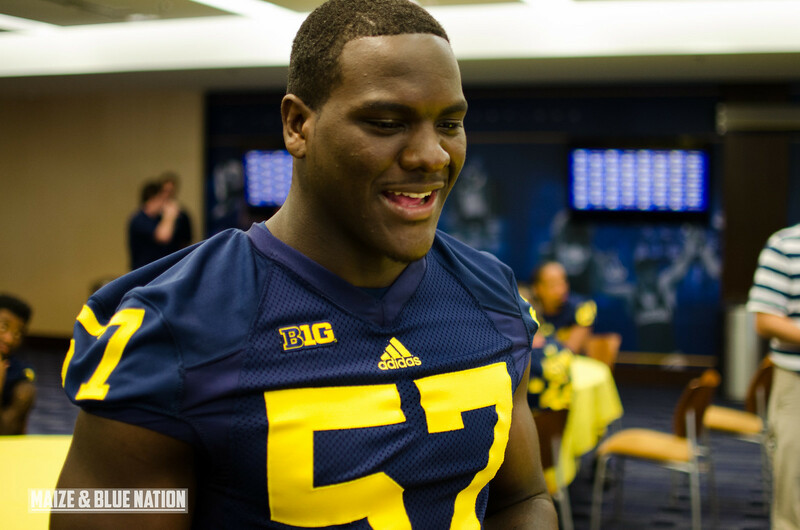 Will Campbell morphed into quite a serviceable d-linemen under the Hoke/Mattison/Montgomery tutelage. His absence this year should be mitigated by the emergence of Quinton Washington as a dominant run-stopper/disruptor. Expect good things with him. Ondre Pipkins (#56) has shed just north of 20 pounds from last year (337) to this year (315). In the spring he was listed at 308. That should help him in the long run. He needs to step it up from his freshman year, which of course is always not the best year for big guys. So improvement should be expected. Willy Henry has been getting plenty of "potential" talk this summer. That's good. Again, rotation is going to be the key and Michigan has some good guys here. Jibreel Black is probably the starter here, and Keith Heitzman will also see plenty of time. 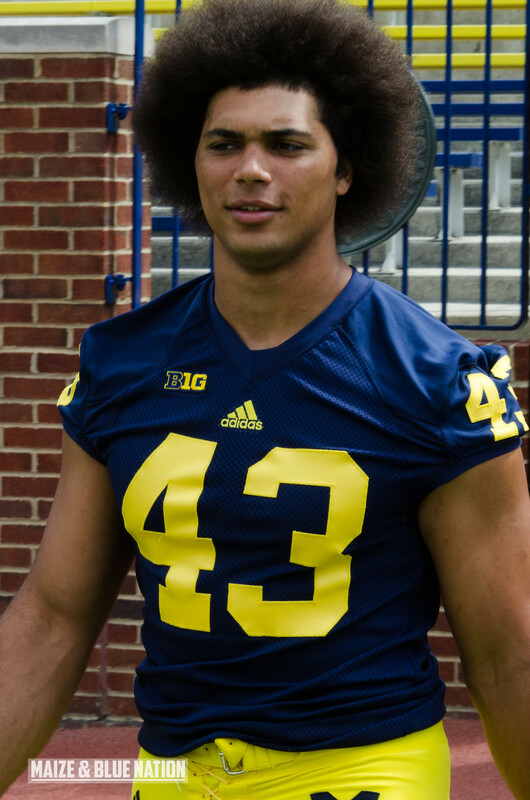 I really like what I'm hearing about Chris Wormley (#43). Last year he was listed at 268, now he's weighing in at 289...which seems about right after seeing him at media day. Tom Strobel is also adding to the quality depth at this spot. Frank Clark (#57) is being touted about as high as any defensive lineman I can remember. While I do admit he's a great player who can easily be an all-B1G type of guy, he needs to show it consistently. Open shots on Braxton Miller are nice, though. Another guy getting a ton of buzz is Taco Charlton. 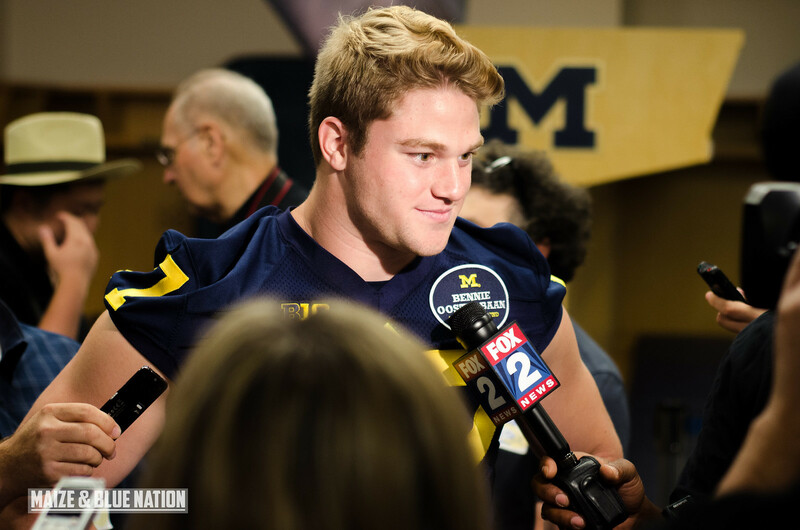 He had a really nice spring, and a lot of Michigan fans are excited to see what he can do in a game. He and Mario Ojemudia make a great 3-deep at this position. If Taco is the real deal, he may filter over to the strong side. They'll find a place for him. If Jake Ryan (#47) can return as still be Jake Ryan, then we'll be fine. 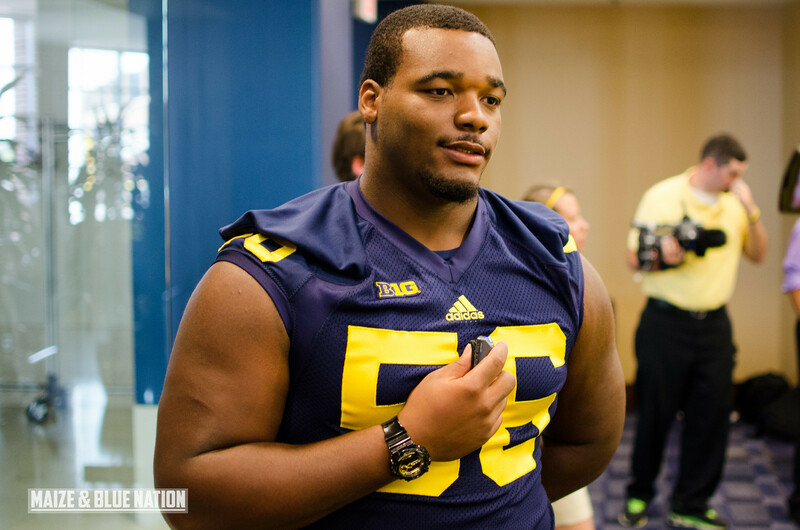 Hoke has been saying that he could be back by mid-October. Now it's looking like he could make it back for the start of the B1G schedule...which would be huge. I fully expect Cam Gordon/Brenden Beyer to hold this position down until early-mid October when Ryan returns. I'm actually a little excited to see what Gordon can do in his senior year. This is his big/last chance to make a splash at Michigan. He's got the size and the experience. Can be put it all together for a big year? 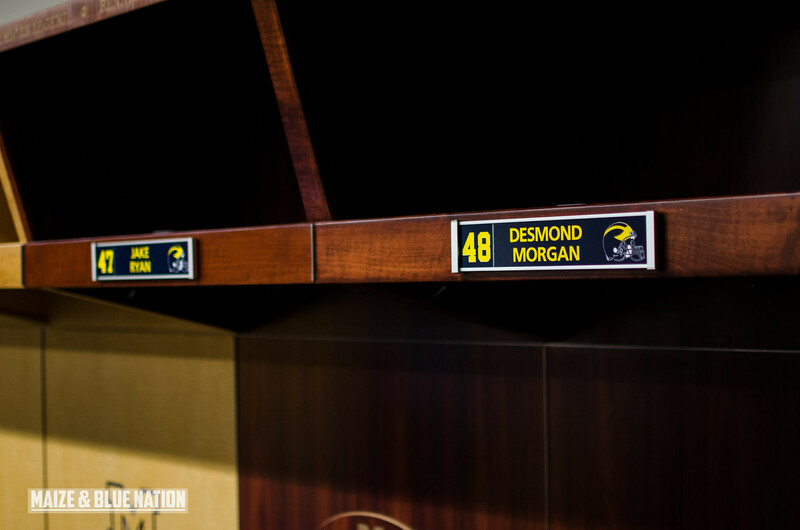 Desmond Morgan seems to have emerged as the guy to replace Kenny Demens in the middle...which is fine with me. I like Morgan a lot and I think he's got a ton of potential. I also love James Ross at the WILL. Between he and Joe Bolden, Royce Jenkins Stone, Ben Gedeon and Mike McCray, there's some ridiculous talent and depth at the linebacker spot. 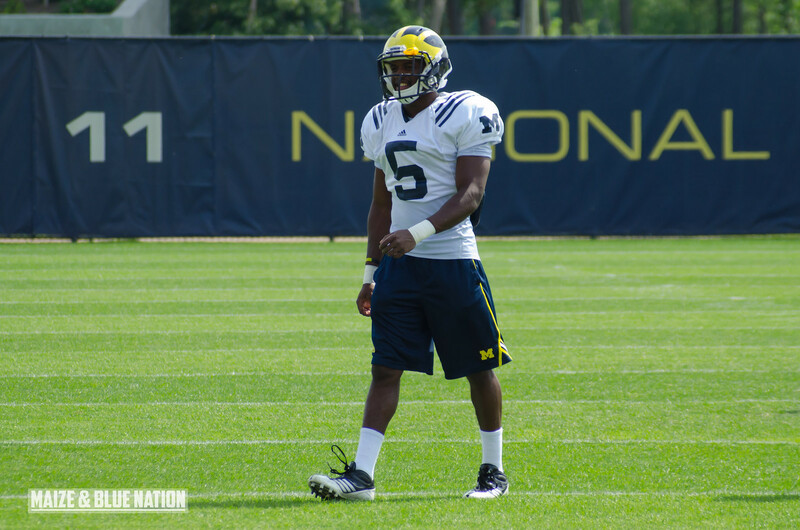 It seems Blake Countess has returned to his former self since injuring his ACL against Alabama last year. The redshirt sophomore from Owings Mills, Maryland has returned, as expected, to the top of the cornerback depth chart. That leaves Ray Taylor on the other corner spot now that Courtney Avery has been sent to compete at free safety...more on that below. I've been reading some good stuff about Delonte Hollowell at corner also. Thomas Gordon is your starting safety. I'm fine with this. It's going to be a process to fill the shoes of Jordan Kovacs, but even Kovacs struggled at times with talented receivers (cough...Outback Bowl...cough). At the free safety spot, as we just mentioned, Courtney Avery (#5) is getting a look here, and sounds to be competing well with Jarrod Wilson. In nickel packages, I think you'd see both on the field. But in normal 4 DB sets, they pay split time early. Speaking of nickel, Dymonte Thomas has been rumored to be on the depth chart. Josh Furman could add to the safety depth as well.